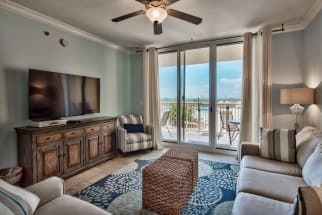 Welcome to the Azure vacation rentals on Okaloosa Island. Azure is a newer Mediterranean-style complex with three and four bedroom units. 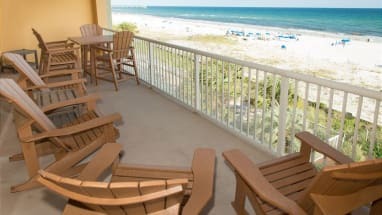 Each unit has floor-to-ceiling patio doors that open to a private balcony with a view over the breathtaking emerald green waters of the Gulf Coast. Azure offers several amenities such as two large community pools each equipped with their own hot tub, a spray park for the youth, an exercise room and a large board walk that leads to the beach. There is endless shopping and dining and most of which is within walking distance. Some of the favorite local restaurants include Fudpucker’s Beachside Bar and Grill, The Gulf and The Black Pearl. Azure provides everything you need to have a relaxing and complete family get-a-way. 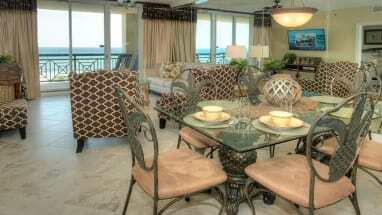 Book your trip to Azure with Emerald Coast By Owner. When you book with ECBYO, we put you in direct contact with the property owners or managers. Booking direct with the property owners allows you to get answers to your questions before you book, and ensures you are getting the best price for your vacation rental. Browse our selection of Azure condo listings below. Be sure to click the email owner button found on each listing to contact the property owner, they will gladly help you plan your stay. 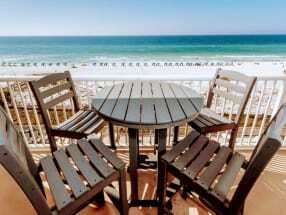 We hope you enjoy your stay on the Emerald Coast at Azure.